Their U.S. agency came to us looking for a fresh way to introduce their new line of sports cars using native content creation as a major focus of the campaign . Our strategy was to help optimize the campaign by creating unique content that highlighted the brands Italian heritage. 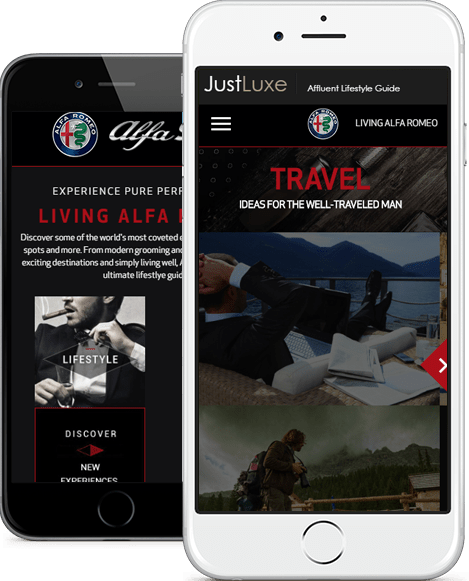 To help promote users to “Living Alfa Romeo”, we created a website featuring the ultimate gentleman’s lifestyle guide. Content created was intended to reflect the sleek and sophisticated styles of the Alfa Romeo 4C Coupe, Giulia Quadifoglio and 4C Spider. We achieved these numbers by producing 25 pieces of original editorial content, in addition to display media, email creative, and integrated social media material. A sweepstakes and integrated client videos were also included on the hub to promote traffic. 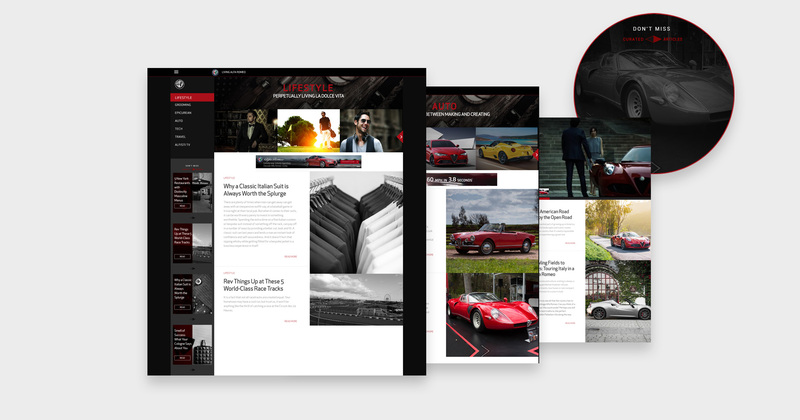 G4 Commissioned the luxury publication Justluxe to host the content hub and the campaign generated 75,000+ page views, 5,000 video plays, and boosted traffic to the brands website in 90 days.